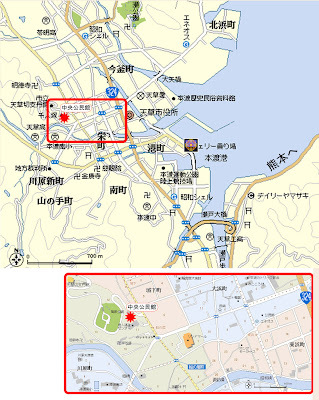 Here is a map of Amakusa City, Hondo with the location of the slideshow marked with a star. The lower map is a detailed map of the area. Click on the map for a blownup version. Good luck with navigation. See you there at 6:30!